Last week I showed you how to assemble Gingerbread Houses in minutes, but I only showed how to assemble a house with gluten-free crackers. 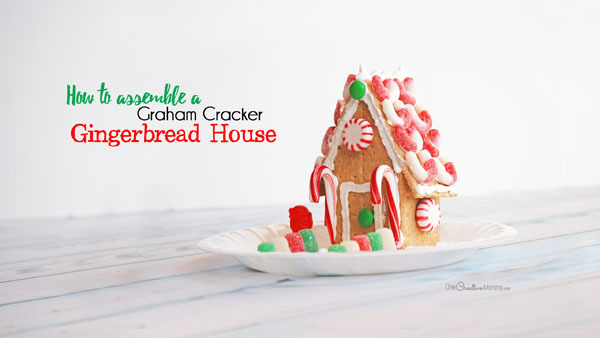 Since regular graham crackers have a different shape, I wanted to show you how to build a regular graham cracker gingerbread house, too! I hope you all had a fantastic Thanksgiving holiday with family and friends. We had a great time. As usual, Grandma outdid herself with the food, and we all overstuffed ourselves! The little ones built the traditional gingerbread houses on Friday. We built one gluten free house and six graham cracker houses. 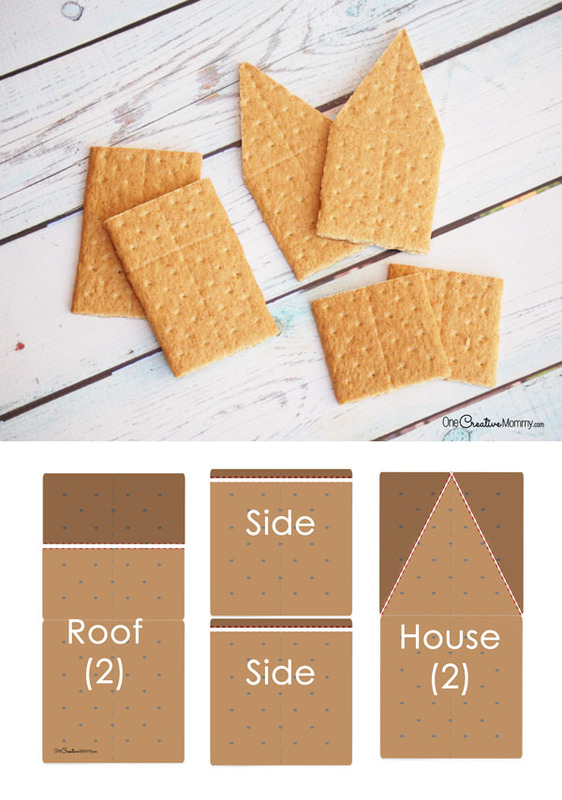 There are many ways to build a house with graham crackers. I know kids often make them out of milk cartons at school. I think this method is even easier! First, you need to know what shapes to cut. Be sure to check here to see how to cut graham crackers without breaking them. For each house, you’ll need five full-sized graham crackers. Cut them according to the image below. In order for the roof to fit, be sure that you trim the side pieces slightly. They must be a little bit shorter than half the cracker. 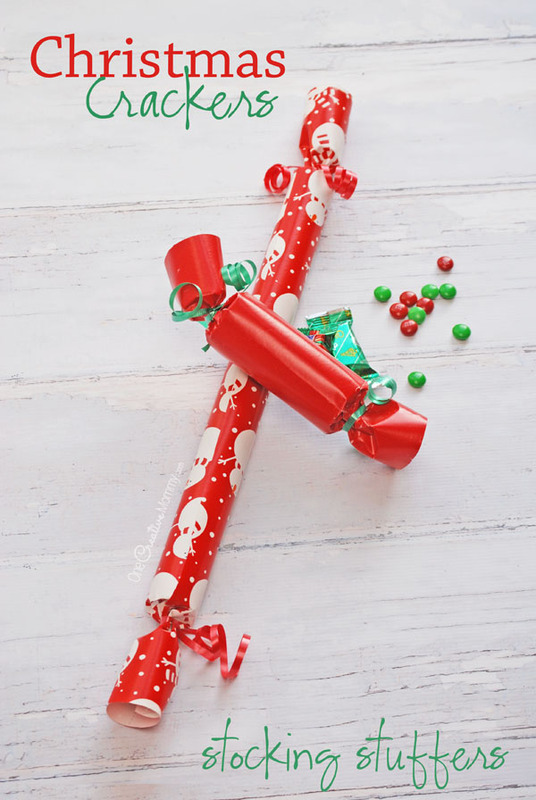 If you are trying to save crackers, you can make the roof pieces half a cracker instead of 3/4 of a cracker. They are so much cuter this way, though! Thanks for stopping by today. 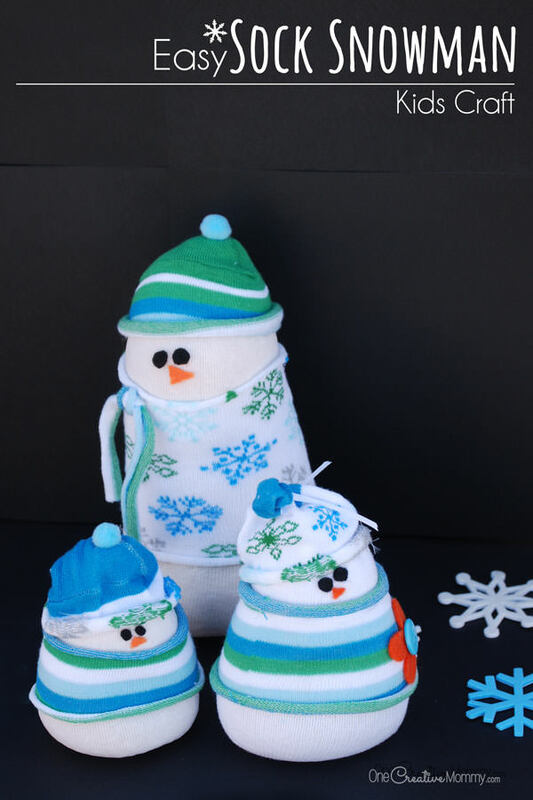 Check out more great projects for Christmas by clicking on the images below. I need to make these with my kids this year. I always thought it was hard, but it’s easier than I thought. Thanks, Jacqui. 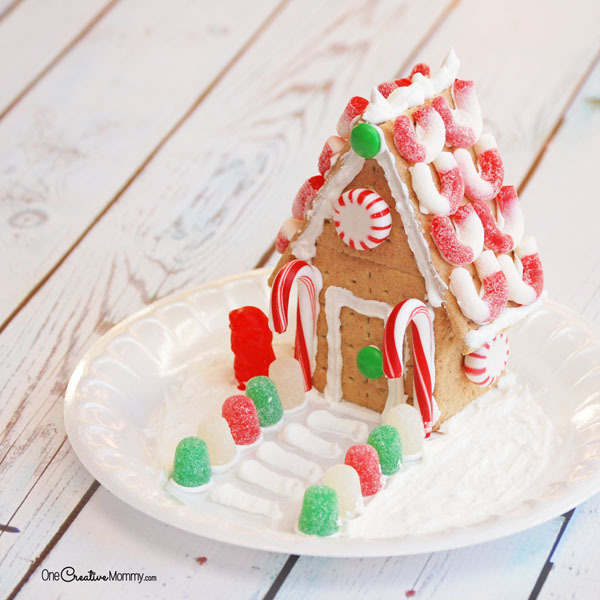 With a glue gun, it’s super easy to make gingerbread houses. Those look super cute and easy! My daughter has already been asking when we will be making Gingerbread Houses! Thanks, Leah. They are a lot of work, but it’s so worth it because the kids love it so much. It’s a fun tradition. I love this! I can’t wait to make these adorable gingerbread houses with my grandkids. We are going to have so much fun! Thanks, Cathi! I totally missed replying to comments on this post back in December. I hope you and your grandkids had fun making gingerbread houses! That looks delicious! When do you get to eat it? I would be eating parts of the house the whole time I was making it! Ha, Mitch! You’re just like the kids. I’m afraid the graham cracker part never gets eaten (because it becomes hard as a rock), but the kids nibble the candy off the house as soon as I’m done taking pictures! By the time Christmas rolls around, the houses are nothing but graham crackers and frosting. This is a great idea and it looks terrific. 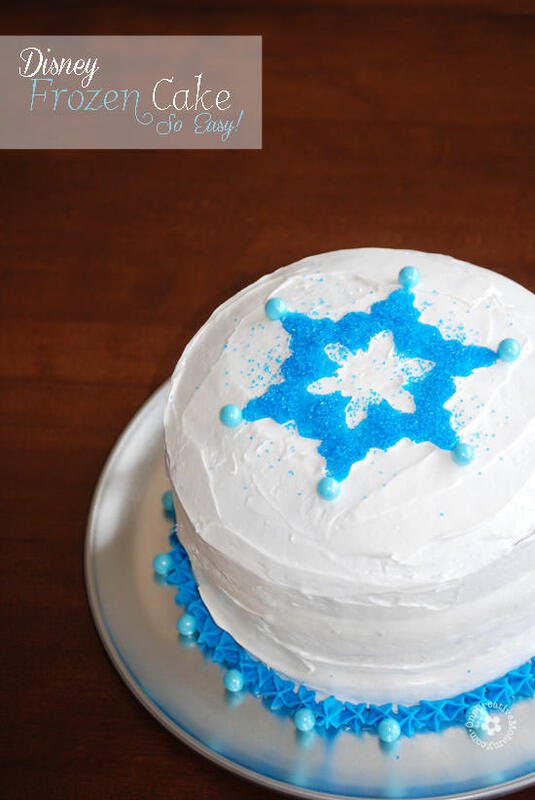 It’s perfect for folks that don’t want to bake the walls! Exactly, Val! I tried baking the walls one year, and the houses were cute. I’m not sure it was worth the extra effort, though. The kids didn’t notice the difference or care. Adorable! 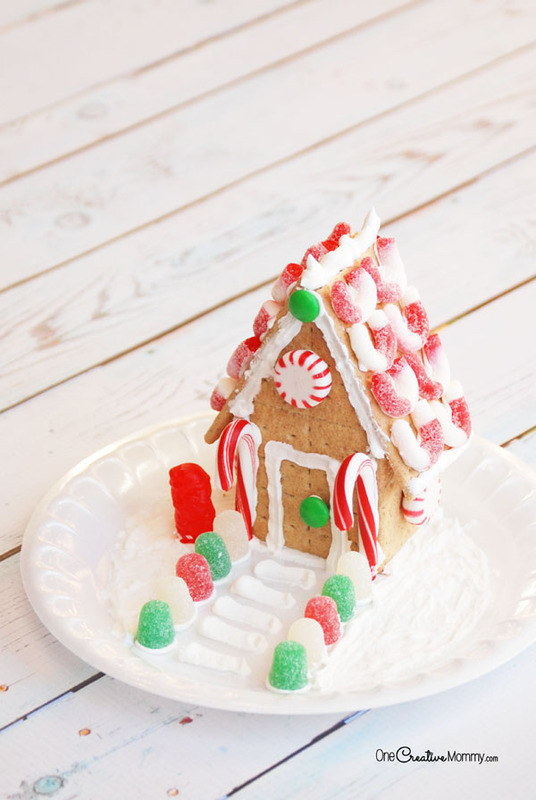 I love gingerbread houses and love this simple design is perfect for working with little ones. Will have to make one with my granddaughter soon! Thanks, Barb. I just noticed that I totally missed replying to these comments in December. 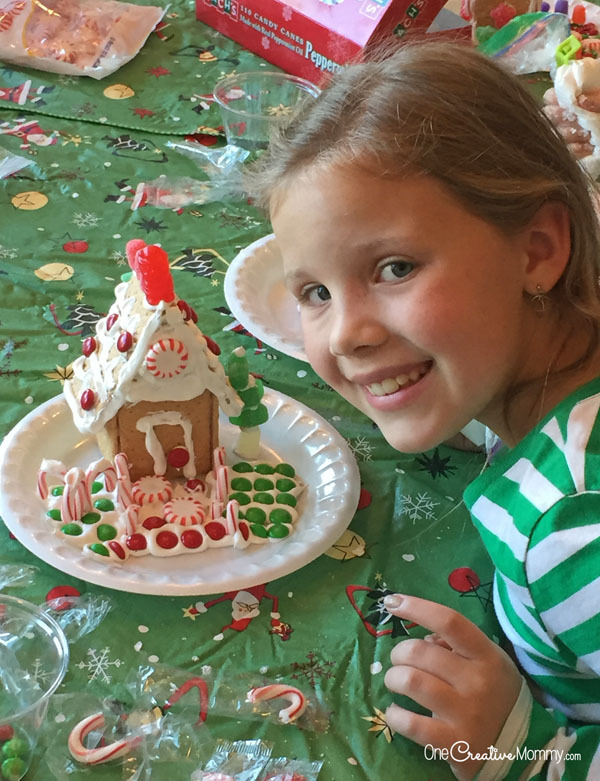 I hope you were able to find the time to make gingerbread houses with your granddaughter! We finally made our own last year! Didn’t turn out quite as nice as yours because the kids loaded it up with M&M’s and other stuff. Could hardly see the house at all! Thanks, Scott. I only pictured the tamest of the gingerbread houses. I assure you that we had plenty of M&M covered houses, too! My kids love to stuff as much candy on the houses as possible. The more candy you get on the house, the more you get to eat later, right? Wow.. It looks so cute. Thanks for sharing the steps to create it. You’re welcome, Sapana. 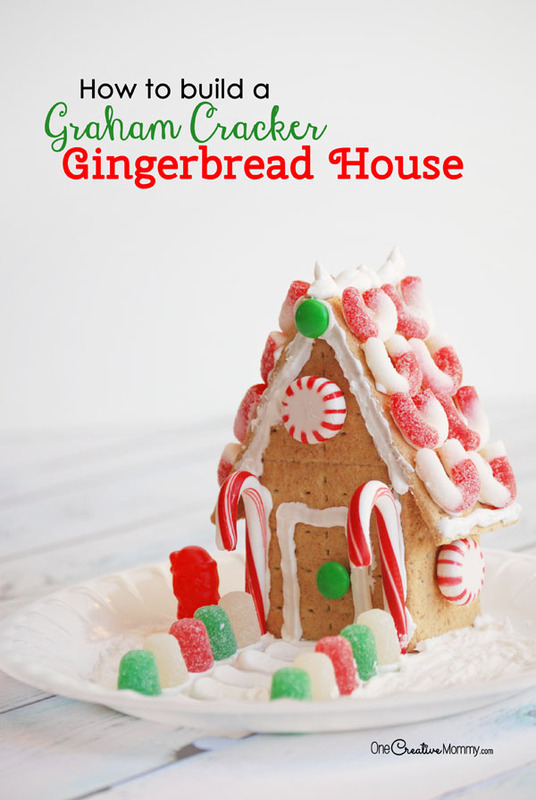 Creating gingerbread houses is really a lot easier than it looks!